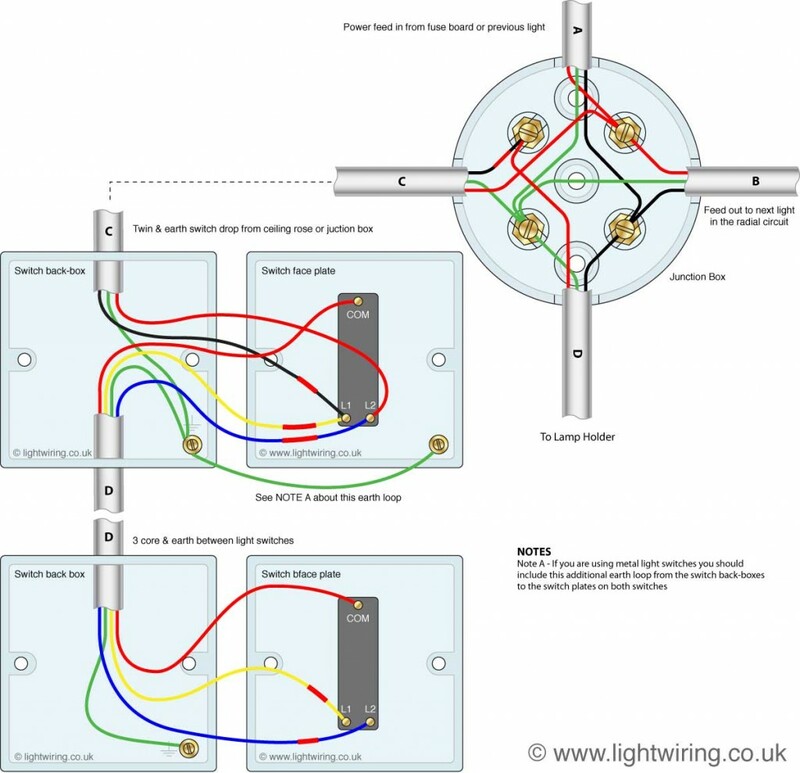 Here we have a two way switching system that utilises two single gang two-way switches and a three wire control, shown in the old cable colours. It is possible to achieve a similar result using a two wire control which, although it saves on cable, is not recommended. This is the preferred approach. The schematic is nice and simple to visualise the principal of how this works but is little help when it coms to actually wiring this up in real life!! NOTE: The blue and yellow wires in cable ‘D’ and the black wire in cable ‘C’ are switched lives and thus should be marked with red sheathing at each end as shown. 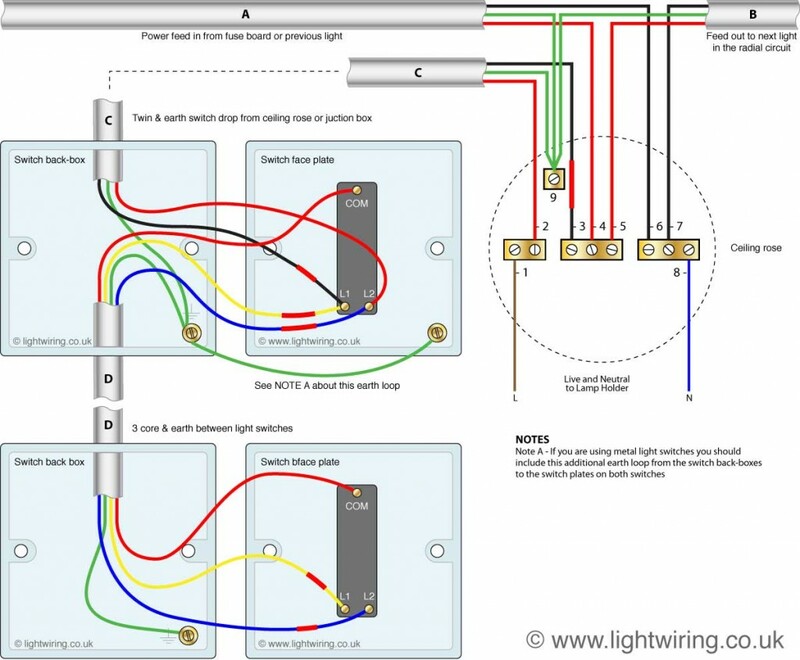 There is a chance that if your house has these old wiring colours the switch drops may be from a loop-in-loop-out radial lighting circuit done with junction boxes rather than ceiling roses as shown in Fig 2. The switch wiring is all the same but the switch wire (cable C) leads up to a different set up.